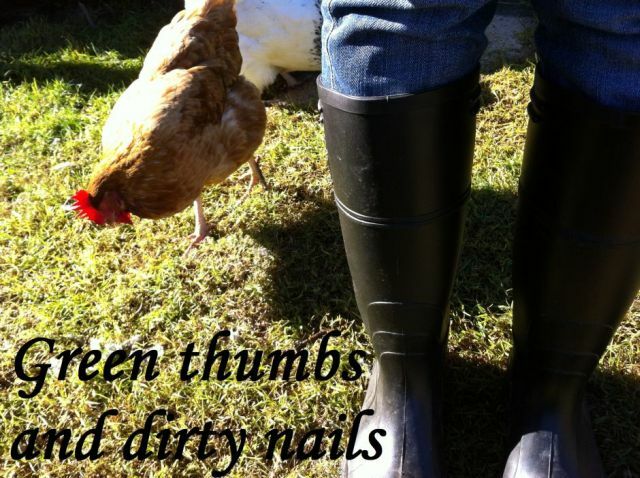 Green thumbs and dirty nails...: The marvels of modern medicine. Nerves got the better of my blog posting this week as I prepared for keyhole heart surgery, which was done on Friday. Fortunately it went smoothly with no complications, much to my relief. I am completely in awe of modern medicine after having the procedure done. I was awake for the entire two hours, as the doctors burned off a bit of misfiring electronics within my heart muscle using wires threaded through my a vein near my hip. I even got to request the music I listened to while it was done. It was a full on experience, and felt pretty much as it sounds. But I am thrilled to bits to have had it done and wait to see that it fixed the problem. I am couch bound for the coming days, with strict instructions not to do any heavy lifting. So gardening is out for me until the later half of the week, which means Jamie will get the honour of harvesting our first broccoli. In commemoration of my hearty experience this week, I thought I would talk about the tomato "Oxheart". 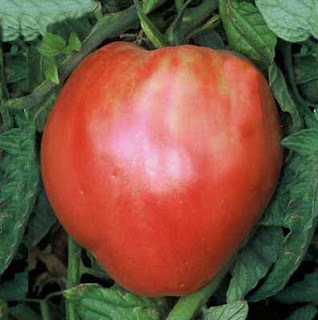 This tomato is an heirloom variety which also runs under the name "Bullock's Heart" and "Coeur de Boeuf" in other countries. It bears a red/pink heart-shaped fruit that has a shiny, almost polished, appearance. 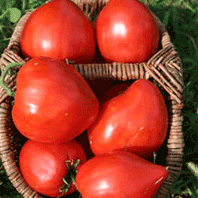 The perfect tomato for creating rich tomato-based sauces, chopping into thick meaty slices for burgers, or pairing with mozzarella and basil for a light snack. i've been reading your blog a little while but don't think i've commented yet... i'm shy sometimes :D hope the operation did the trick! Wow, what an operation to have! Glad it went well and you are recovering! Thanks for your sweet comment on my blog, I keep this one on my sidebar and read every new post! It occurred to me after my last comment that I had just picked my first Oxheart of the summer! We cut it open and compared the texture to Brandywines (an excellent heirloom slicing tomato)after reading your post, and you can totally tell that Oxhearts are a sauce tomato just from looking at the insides. I've been thinking of you Sam and wish you a speedy recovery. I'm willing to wager a lot of money that you can't convince Jamie of the virtues of the Oxheart! I've yet to try them but will give one a go this summer. Oh my god you are the bionic woman, or at least a very brave woman. Those tomatoes look delicious and I hope you're eating lots of them and feeling healthy!